The January wine sales range from small reductions on a whole host of wines, to offers of special parcels, to ‘bin-ends’ where merchants clear their remnant stocks of only a few bottles or cases. Thankfully most of these are genuine reductions rather than the spurious ‘half price’ offers that litter the big supermarket shelves throughout the year. As a thank you to wine-pages’ sponsors, here’s a rundown on what they have on offer: Savings of up to 40% can be had at Berry Bros. & Rudd. Six bottles of the exceptional Cramant Grand Cru Blanc de Blancs from Champagne Guy Larmandier is one that caught my eye: £125.70 for six is only £20.95 per bottle as opposed to the regular £29.95. Bordeaux Wine Investments meanwhile has a downloadable list with savings of up to £110 per case on top Bordeaux, Burgundy, Rhône, Barolo and more. As of today (10th January) Bancroft Wines is advertising that its Bin End Sale is ‘coming soon’, but it is always one worth bookmarking. Cadman Fine Wines urges you to ‘please hurry’ if you want up to 42% off in its sale. For example, the fine Château Veyry 2005 (93-points from The Wine Gang) is £19.99 from £24.99. London chain Jeroboams has lots to tempt such as 2006 Caronne-Ste-Gemme down from £15.95 to £12.75, but their offers span the globe. There’s no sign of a specific January sale at either WineBear.com or Corney & Barrow, but special offers at the former include the wines of Chateau Musar and Burgundy’s Pierre Yves Colin Morey (PYCM to his friends), whilst C&B have mixed cases aplenty and of course their star-studded line-up of fine wines. Likewise, the keen offers on Super-Tuscans, 2010 Rhônes and the terrific Champagnes from Vilmart are all on special offer at Richard Dawes Fine Wine. The sale at Great Western Wine is in full swing, starting at just £4.85 (down from £6.95) for their ‘Pretty Gorgeous White’. Ultra-specialist Piemonte Wines is another merchant with no specific January sale, but a mixed case they put together based on wines I’d reviewed is on offer at a cut price £124.99. The annual Bin End Sale at FromVineyardsDirect is always worth a browse, including some of their famous ‘declassified’ wines from famous estates in Bordeaux and Burgundy. And the final wine selection of note is at Ten Acre Wines where Brian Peacock has hand picked wines like the 2009 Rioja Crianza from Bodegas Edulis, down from £9.50 to £8.55. 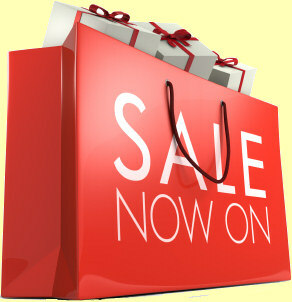 And don’t forget the accessories, glassware and more at the Wine Gift Centre. Wine search engines have been around for a while now and have proved invaluable to those looking to track down a specific wine or check prices; arguably they have given the consumer a better deal by putting comparison information at their fingertips. 12×75.com is a new search engine focused specifically on the UK, billing itself as “A Wine Price Comparison Site,” and promising that it will show the quantity and price of wines, all with immediately available stock. It has a very simple (and fast) interface. The search engine has grown from a comical wine blog called 12×75, who say they realised they had a ‘cult’ following and decided a worthwhile extension would be a search engine showing results from some ofthe UK’s most respected merchants, focused purely on the UK and showing ‘real time’ stock. Try it at 12×75.com. If any more proof were needed that the growth in China’s own wine industry is leading the world at the moment, then first site of Moët’s new sparkling wine facility in the north-west of the country should do the trick. The 6,300sqm Chandon Ningxia winery will produce a high-end, method Champenoise wine made from locally-grown Pinot Noir and Chardonnay. There are 67 hectares of vineyard in Helanshan district dedicated to the project and the first wines are expected to be released in 2014. The project is a joint venture between Moët Hennessy and a local company, which manages a total of 670 hectares of vineyards. Moët Hennessy is also developing a further 30 hectares in south-west China for the production of red wine. Picture courtesy of The Drinks Business. Talking of Moët, the Champagne house is once again sponsoring the annual search by the Academy of Food & Wine Service (AFWS) to find the UK Sommelier of the Year. Entries are encouraged from sommeliers and wine waiters from across the hospitality sector including high street restaurants, pubs, hotels, as well as fine dining establishments. “The competition has really broadened in appeal over the past few years,” commented AFWS executive director John Croft. “The tasks not only test wine expertise, but competitors’ service skills, personality and general drinks knowledge too. Taking part is a fantastic opportunity to learn more about wine and wine service as well as the chance to network with other industry professionals.” Now in its 34th year, the competition will be judged by a panel of experts chaired by current world champion sommelier Gerard Bassett. Download an entry form from sommelieroftheyear.co.uk. Got a Few Quid to Spare? Maybe you Christmas money burning a hole in your pocket? Pop down to the recently opened Hedonism Wines in London’s Mayfair and scoop up a “piece of winemaking history,” in the shape of The Penfolds Collection. It includes a full vertical of signed bottlings of the iconic Grange spanning six decades, from the experimental first vintage of 1951 through to current vintage of 2007. Each bottle has been authenticated and signed by one of Penfolds Chief Winemakers including Max Schubert, John Duval, and Peter Gago. The Collection also includes a set of thirteen magnum cases, and the buyer will be sent a case of Penfolds Icon & Luxury wines upon release for the next decade. 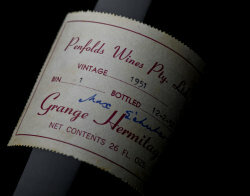 To store the collection the buyer will receive “the ultimate bespoke Penfolds cellar,” built in their own home and, last but not least, will also be flown to the home of Penfolds, the Magill Estate in Adelaide, for a unique VIP tour. The price? Well, if you need to ask… (£1.2million). Sotheby’s has announced the dates for the sale of El Bulli’s wine cellar in Hong Kong and New York next year. 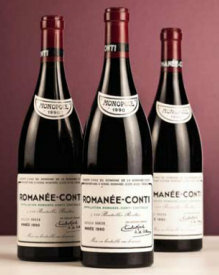 The wines from the restaurant, which was frequently counted among the world’s best and closed in July last year, will go on sale first of all in Hong Kong on 3 April 2013 and then in New York on 26 April 2013. Since closing, the restaurant has become the El Bulli foundation, an experimental cooking centre. Proceeds from the auction will go towards the foundation. Serena Sutcliffe MW, head of the international wine department, said: “Those of us lucky enough to have dined at El Bulli will never forget the extraordinary sensations laid before us. There was both an explosive genius about the food and a calm, professional way in which it was delivered.” Highlights include 100 bottles of Vega Sicilia Unico, 157 bottles of Pingus and 13 different vintages of Alvaro Palacios’ L’Ermita – though it is by no means limited to Spanish wines with Romanée-Conti 1990 expected to fetch the highest bottle prices of all.